Distinguishing weeds from desirable plants is a skill that takes years of experience. If you’re not an avid gardener or a practiced naturalist, the distinction between the two groups may be blurry. There are weed identification guides aplenty, but even those aren’t always the most user-friendly and can often leave a person with more questions than answers. 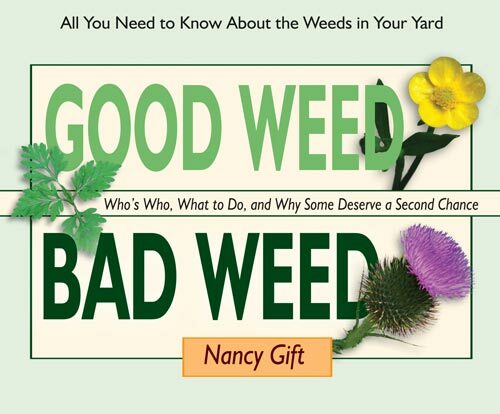 One of those questions may be, “Why is this plant considered a weed and not that one?” Through her book, Good Weed Bad Weed, Nancy Gift attempts to answer that question, offering much needed nuance to a regularly vilified group of plants. In the introduction, Gift acknowledges that the term “good weed” sounds like an oxymoron. A weed, by definition, is an unwanted plant, an interloper and a troublemaker, without value or merit. What could be good about that? Gift, on the other hand, asserts that “it is a weakness of the English language that weeds are universally unwanted.” We need a word that describes plants that may have weedy characteristics but some redeeming qualities as well. For now, Gift uses “volunteer” – “a plant that comes up without being planted or encouraged” – suspending judgement until its performance can be fairly assessed. Good Weed Bad Weed is a weed identification guide designed for beginners, for those wondering if their yard is “infested or blessed.” It is specifically concerned with weeds commonly found in lawns and garden beds, and “not meant to apply to farm fields or any other landscape.” It sets itself apart from other identification guides by organizing weeds into three categories: Bad Weeds, Not-So-Bad Weeds, and Good Weeds. Each plant profile includes a description, notes about benefits as well as problems, and some recommendations for control. Assigning good/bad designations to these plants is bound to cause some heated debate and outright disagreement, and Gift acknowledges that; however, we all have our “unique judgement” about the plants we encounter in our landscapes, so as “weed-lovers-in-training,” Gift hopes that we can “make a few new friends in the plant kingdom” and, perhaps, a few less enemies. For the ten plants that make the Bad Weeds list, the reasoning is pretty clear. They are highly competitive and difficult to control [foxtail (Setaria spp. ), garlic mustard (Alliaria petiolata), and Canada thistle (Cirsium arvense)], they are poisonous to humans despite being beneficial to wildlife [poison ivy (Toxicodendron radicans ) and poison hemlock (Conium maculatum)], they are known allergens and otherwise unattractive [common ragweed (Ambrosia artemisiifolia)], or, like Japanese knotweed (Fallopia japonica), they are on the list of top 100 worst invasive species. The other two categories are where more personal judgement comes into play. The twelve plants considered Not-So-Bad Weeds are said to have “admirable qualities despite some negatives.” Prostrate knotweed (Polygonum aviculare) provides excellent erosion control. Orange hawkweed (Hieracium aurantiacum), bull thistle (Cirsium vulgare), and musk thistle (Carduus nutans) are quite beautiful and highly beneficial to pollinators and other wildlife. Nutsedge (Cyperus spp.) is edible and easy to keep in check if you stay on top of it. 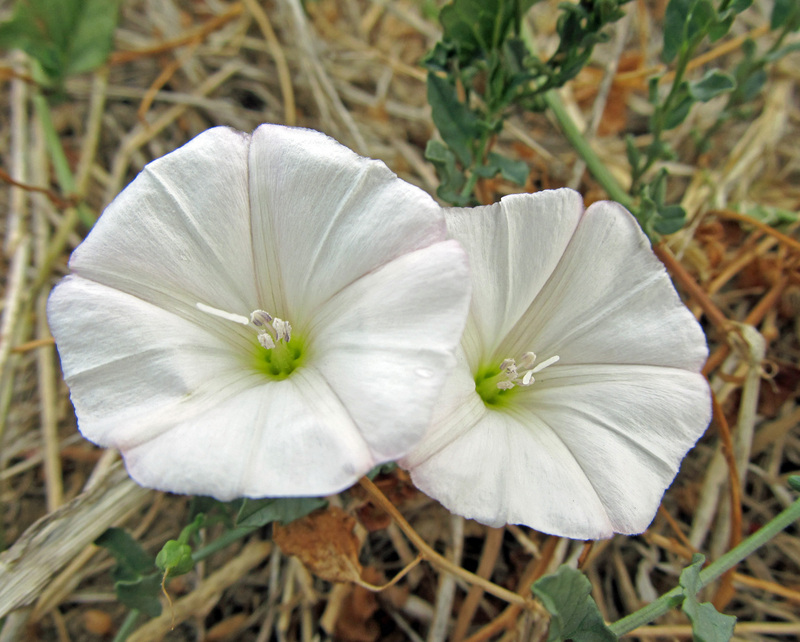 Bindweeds (Convolvulus arvensis and Calystegia sepium) avoid the Bad Weeds list because their flowers are so appealing. Aesthetics really matter to Gift, which is made clear with the entry for common fleabane (Erigeron philadelphicus), which could have made the Good Weeds list were it not for its disappointing and forgettable floral display. As for the Goods Weeds list, more plant species find themselves in this category than the other two categories combined. That being said, those who have strong, negative opinions about weeds should probably avoid this section of the book, lest they experience an unsafe rise in blood pressure upon reading it. But be advised that making the Good Weeds list doesn’t mean that there are no negatives associated with having these plants in your yard; it’s just that the positive qualities tend to overshadow the negatives. Positive qualities include edible, medicinal, low growing, slow growing, easy to control, beneficial to wildlife, not a bully, hardly noticeable, uncommon, and soil building. 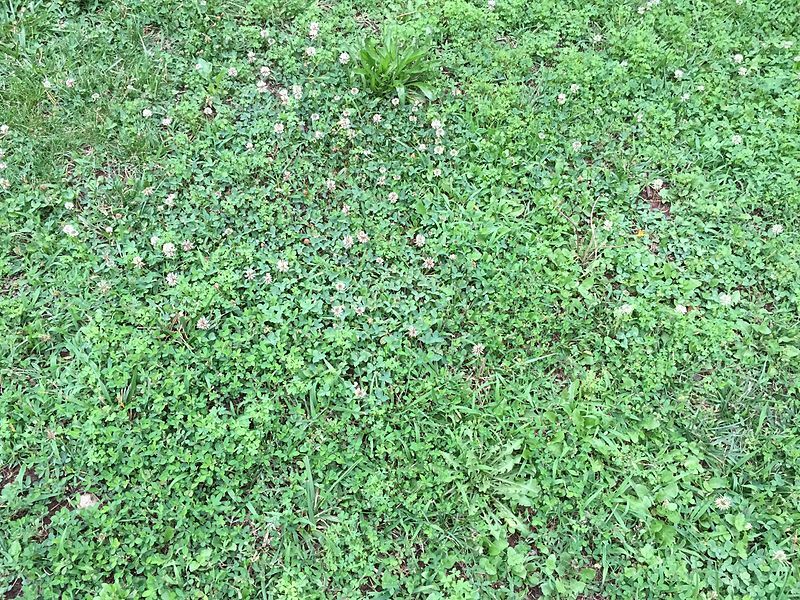 Certain weeds are desirable in lawns because they are soft to walk on, like ground ivy (Glechoma hederacea), yarrow (Achillea millefolium), and moss. Other weeds, like self-heal (Prunella vulgaris), stay green year-round and don’t leave ugly, brown patches when they die or go dormant. Still others, like bird’s-foot trefoil (Lotus corniculatus), black medic (Medicago lupulina), and clovers (Trifolium spp.) fix nitrogen, providing free fertilizer. Gift notes that, for those who keep chickens, weeds like common sorrel (Rumex acetosa) and cuckooflower (Cardamine pratensis) are great chicken feed. Speaking of eating weeds, Gift concludes her book with four pages of recipes. The “Weedy Foxtail Tabouli” is particularly intriguing to me. Reading this book definitely requires an open mind, and some people simply won’t agree that any weed should ever be called “good.” Gift seems okay with that. She calls herself a “heretical weed scientist,” insisting that “a weed is in the eye of the beholder.” As “beholders,” I hope we can all be a little more like Nancy Gift. This entry was posted in Horticulture and Agriculture, Reviews and Recommendations, Urban Ecology and tagged book review, Convolvulus arvensis, edible plants, Good Weed Bad Weed, horticulture, invasive species, lawns, medicinal plants, Nancy Gift, plant books, pollinator plants, reviews and recommendations, urban ecology, urban weeds, weed identification guide, weeds, weedy lawn. Bookmark the permalink. I like the general idea of this post! I have a few quibbles though with details of which plant you’d treat which way. I question the idea of Poison hemlock, Conium maculatum, being beneficial for wildlife here in North America, perhaps in its native habitat yes. But where I have lived, in Delaware and southeast – south central PA, it sometimes forms huge monocultures, especially in sunny, mmoist, fertile soil, and is eaten by a single, introduced moth that isn’t even terribly common. When I have pulled it out, it has filled in with much greater diversity of plants. I also disagree somewhat on fleabane’s aesthetics! I think fleabane’s flowers are SUPER CUTE. They never disappoint me. Where I live there are four fleabane species and I like all four…and they have subtly different growth habits. I actually find all of them to have very attractive foliage too, especially Erigeron philadelphicus, it has these often-evergreen basal rosettes. If you want some “beneficial weeds” that aren’t on your list and a lot of people don’t know about, for Eastern North America, I want to mention Honewort (Cryptotaenia canadensis), which is edible, native, has moderate wildlife value (swallowtail host, like most carrot family plants, and supports very small bees mid-summer with its tiny flowers). Also asters galore. Where I live, a common weed is frost aster (Symphyotrichum pilosum) which has high wildlife value and is strikingly pretty in bloom, if you can tolerate its weedy growth habit. In wet areas, Panicled aster (Symphyotrichum lanceolatum) is a common weed…very aggressive growth habit but very pretty flowers. Another often-ignored aster is Calico aster (Symphyotrichum lateriflorum) with tiny flowers that are super adorable. 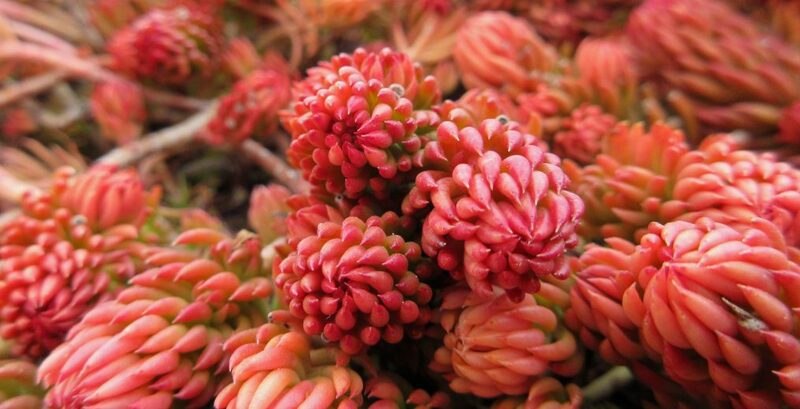 And then…there are the plants that 99% of people never even notice and don’t know how to identify. Acalypha species like Acalypha rhomboidea, a little weedy plant that can show up in virtually any habitat, an annual with surprisingly large seeds that are good for big birds like mourning doves…or clearweed (Pilea sp. ), pellitory (Parietaria sp. ), or False nettle (Boehmeria cylindrica), non-stinging nettle family plants, which can be nice if you want to host butterfly larvae dependent on that family like the red admiral, but you don’t want the stinging hairs. Or horseweed (Conyza canadensis), a fleabane relative, a straight and tall annual with a big head of tiny flowers, that looks kinda raggedy when it grows in vacant lots and cracks in the pavement but can actually be very pretty in the right setting. And then there are goldenrods! They can be striking landscape plants, and are incredibly beneficial for wildlife, supporting huge amounts of insect biodiversity. And there are so many different species, with different growth habits, bloom timings, and habitat preferences. I have found many of these just come up in various places where I’m gardening. And one more weedy plant that can be super striking…common evening primrose. It’s a major vacant lot plant and also can look kinda ratty, but under the right conditions it is this really beautiful large plant with big night-blooming flowers that can attract sphinx moths, and then the seeds attract goldfinches. One thing I like to do, when I have native plants, especially highly beneficial ones like goldenrods and asters, come up in a flower bed where I don’t want them because they’ll be too tall or too aggressive, I find a wild area near where I live, and I transplant them out there…pulling out some invasive plants around them. By doing this, I’ve actually restored quite a lot of areas. For example, the area where I pulled out the poison hemlock, near my apartment complex, I populated with goldenrods, asters, fleabane, native wild lettuces, evening primroses, and black-eyed-susans, all things that were coming up from seed. The area is now full of biodiversity! Interesting overview- I will have to take a look at this book. As you note, the definition of a weed is highly subjective (the current problem of news versus ‘fake news’ comes to mind). I am fairly open to a wide range of interpretations and accept that ‘it depends’ is probably the best answer. I decided that Russian sage is definitely a weed in my landscape, as is wine cups, much as I appreciate them both aesthetically. One thing stood out for me- from your comments it feels like the author weights an anthropocentric screen when determining good versus bad- for example, I would not put poison ivy in the without a double bad category- it is native here, it typically doesn’t take over unless there has been disturbance in an area that gives it an advantage- it can be somewhat attractive, and it for the most part leaves you alone if you leave it alone. (apart from burning, or those who are super sensitive, etc.) In my opinion, I think field corn and Roundup ready soybeans are weeds. Thanks for the thought provoking start to my morning! Nancy Gift’s book is definitely anthropocentric. After all, her main concern is with weeds that appear in our yards and garden beds. This frustrated me at times as I read through it, but clearly it is not written for someone like me. Instead it is written for conventional gardeners who see weeds as more of a black and white issue. Hopefully her book is successful in persuading people like this to see more of the gray.